Turmeric has long been touted as a superfood; thanks to its compound curcumin that is known to have health promoting properties. Turmeric is used in dried or fresh form in cooking, cosmetics and traditional medicines. It has numerous bioactive compounds that endow several medicinal benefits to this spice. Other compounds that are present in turmeric are volatile oils, potassium, omega-3 fatty acids, linolenic acids, proteins, carbohydrates, fibres, et al, which provide this spice with anti-inflammatory, antioxidant, analgesic, anti-microbial and thermogenic properties. Not only does this spice help in keep your body healthy, it also helps in losing weight. A cupful of turmeric tea is the answer to your weight loss woes. 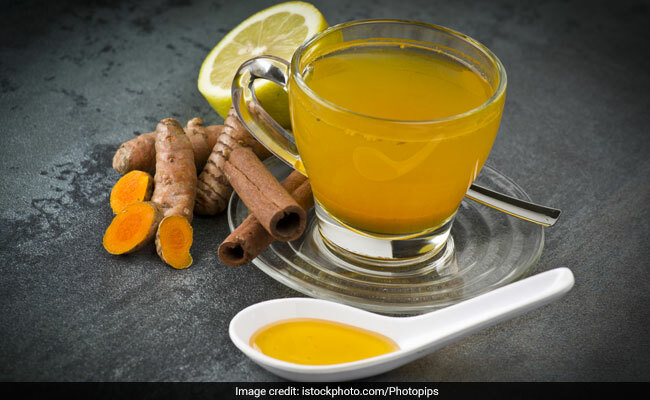 Let's take you through the benefits of turmeric tea for weight loss. A good digestive system is the key to lose weight. Turmeric tea helps relieve stomach disorders like gas, bloating and further improve bowel movements that help you lose weight. Turmeric tea helps regulate sugar levels and prevent insulin resistance. As a result, excess fat is not retained in your body.